Because of the criticisms received by the old ‘Oplan Tokhang’ crafted by President Rodrigo Duterte and PNP Chief Director General Ronald “Bato” Dela Rosa, they decided to change their strategy and be more prepared when the anti-illegal drug operation of the government revived. According to PNP Chief the ‘Oplan Tokhang part two’ woul be led by the municipal chief of police with the help by the barangay captains. The cops who would knock in door of the drug suspects must be wearing a proper uniform. “Those on civilians are not allowed to knock on the door, they should be in uniform. 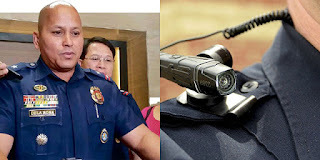 Operatives coming from the national and regional headquarters, they are no longer allowed,” Bato told the reporters. The police would also be possibly required to wear a body camera to record the anti-illegal drug operation. Despite of lack of budget to bought body cameras, the plan was still possible. The drug suspects would also be convinced to take a rehabilitation program, but they would not be forced to do that. Priest would also be given a chance to help the government in fighting illegal drugs after Bato said that they would give a copy of the drug suspects list to the Catholic Church. He believed that the priest can convinced the drug suspects to stop their illegal practices. “The Church would be a big help to make this campaign less bloody or bloodless,” Dela Rosa said.